Recently, there have been legal debates surrounding employee privacy, utilization of social networks for personal advancement, and ownership of employment-centric social media accounts. All of these debates have touched on one social network in particular: LinkedIn. 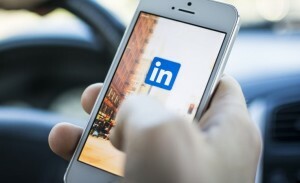 LinkedIn, unlike its social media counterparts Twitter and Facebook, has a distinctly professional aspect, and, given the accessibility of user profiles, can result in negative repercussions for the user’s employer if that user represents the company in a less-than-satisfactory manner. While Canadian courts have not considered Linked In issues to the same extent as the U.S, the recent decision in Eagle Professional Resources v. MacMullin, 2013 ONSC 2501 involved three employees who were accused of breaching a non-competition clause following their termination. Specifically, the employer alleged that the employees had utilized and capitalized on company “know how” and confidential knowledge in order to solicit clients, employees and contractors of their prior employer to work for its competitor. When the matter proceeded to summary judgment, the employees pled that the information utilized to solicit was made readily available on websites such as LinkedIn. Ultimately, while the court found evidence of competition on the employer’s behalf to be weak (siding with the employees that the information was available online), the enforceability of the employees’ non-competition clause, primarily on the basis that it was too geographically extensive was what ultimately resulted in the employer’s action against the respective employees being dismissed, and the employees were provided with a $10,000.00 cost award. LinkedIn employment decisions have, as noted, been more predominant in U.S jurisprudence. While not necessarily persuasive to Canadian courts, they offer interesting insights into the world of employment law in the context of LinkedIn issues. In March of 2013, the United States District Court for the Eastern District of Pennsylvania ruled on whether an employer has the right to seize an employee’s LinkedIn account. The decision, Eagle v. Morgan et al., involved an employee who had opened a LinkedIn account with her company email following increased corporate interest in the utilization of LinkedIn for sales and marketing purposes. However, when the employee was terminated, her employer changed her LinkedIn password, replaced her profile picture with a picture of the employee who replaced her, and altered her profile’s content. Prior to her termination, there had been some discussion amongst the company’s executives regarding account ownership, but no set policy had been established. After being locked out, the employee had to contact LinkedIn directly in order to re-gain access to her LinkedIn account. She subsequently sued her employer on multiple claims, ultimately winning on only three (unauthorized use of her name, intrusion upon seclusion- appropriation of identity, and misappropriation of publicity- she was well-known within the Defendant’s industry). Despite the court’s acceptance of the wrongs done to the employee via the seizure of her LinkedIn account, the court was unable to monetize these wrongs (the employee had not provided the court with sufficient basis to do so) and so she walked away without damages. In May 2013, the United States District Court of the Western District of Kentucky at Louisville again made a decision regarding LinkedIn and employment issues in Jefferson Audio Video Systems, Inc. v. Light. In Jefferson, an issue arose when the Defendant employee made disparaging comments regarding the Plaintiff employer to customers. When the employer found out, it terminated the Defendant and sued him for defamation amongst other things, the most interesting of which was fraudulent misrepresentation, a claim made on the grounds that the employee did not update his LinkedIn profile following termination. The employer had made numerous requests that the Defendant remove the company from his LinkedIn profile, which he complied with after the Plaintiff’s third request. The court dismissed the fraud claim on the basis that the Plaintiff had failed to assert that it reasonably relied on the Defendant employee’s misrepresentation of itself as per Kentucky law (it had not asserted that it been defrauded by the Defendant himself but rather that the Defendant’s misrepresentation was damaging to the company). As the cases above demonstrate, a user’s LinkedIn content will in a majority of cases be found to be owned by the user themselves. It is thus unreasonable to attempt to seize that user’s profile, make changes, or demand that the user alter the profile. It is also unreasonable to assert competition violations where a previous (or current) employee’s use of company knowledge to benefit him or her only stems from knowledge obtained online which is readily accessible to the public. If you are considering dismissing or terminating an employee for an issue arising out of his or her personal LinkedIn account, it is best to consult with an Employment Lawyer to ensure that you are not creating future liability for your company. Contact Monkhouse Law today for a free consultation. As noted in the decisions above, a personal misstep on LinkedIn or a failure to remove your affiliation with a company on LinkedIn will typically not be sufficient to support a lawsuit against you. It will also likely be insufficient cause for termination in the instance of actions on LinkedIn during your active employment, depending on the nature of your actions. Contact Monkhouse Law today for a free consultation.